Jaime Santiago, CPA is a Orlando, FL CPA firm providing local businesses and individuals with tax and accounting services. We know our small business owners take pride in their business - and we do too - which is why we work hard to reduce your expenses and increase your productivity. We also take our knowledge in savings and translate that to reliable tax services to help our individual clients maximize income and minimize taxes. 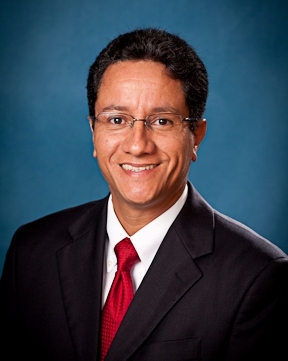 Interested in seeing how Jaime Santiago, CPA can help you with your tax or accounting needs? Give us a call at 321-299-9408 to schedule your free initial consultation. We can assist clients in both English and Spanish. Jaime E. Santiago is a Certified Public Accountant. He has a Master and a Bachelor degree in Business Administration with majors in accounting and finance, respectively, from the University of Puerto Rico, Rio Piedras Campus. He also has the general securities, life and disability insurance licenses. Over 18 years of experience in public accounting, starting in 1996 as an auditor in KPMG and continue as a sole practitioner since 1999 until today. He specializes in helping small to medium sized business owners with their taxes and accounting needs. He represents various insurance carriers for life, disability, and property and casualty insurance products. He works with people who want to make smart choices with their money, formulating and implementing plans designed to help them achieve their financial goals. He is dedicated to providing meaningful solutions to individuals, professionals, and small business owners in a wide range of financial matters ranging from risk management to investment, tax, retirement, estate planning, and financial statements compilation, review and audit. In addition to working with individuals and business owners, he conducts Financial Planning Seminars through business and community organizations.